MISSISSAUGA, Ontario – The Canadian Home Furnishings Alliance (CHFA) has named Leon’s Furniture Limited as its Retailer of the Year for 2017 and will bestow its Lifetime Achievement Award on veteran retailer Dennis Novosel. Both will be honoured at a gala to be held immediately prior to the opening of the Canadian Furniture Show at the end of May. This will be second time Leon’s has been named as the association’s Retailer of the Year. The publicly-held and family-managed full line furniture, mattress and major appliance retailer was also the first to receive the distinction when the CHFA – then known as the Ontario Furniture Manufacturers Association – launched to awards program in 2001. Furthermore, awarding Novosel the Lifetime Achievement Award is also something of a departure for the organisation. Since it was launched in 2001, it has been awarded to Canadian furniture and mattress manufacturers in recognition of those individuals who over their career made an exemplary and sustained contribution to both their industry and the community in which they lived. Novosel is the first retailer to be awarded the distinction. 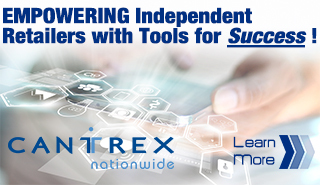 The announcement was made last week by Laine Reynolds, the CHFA’s long-time chairman and vice president of sales for upholstery specialist Superstyle Furniture and its sister company, Trend-Line Furniture. He noted Leon’s made a significant investment in high-end and commercial appliances with its acquisition of Appliance Canada in 2007. 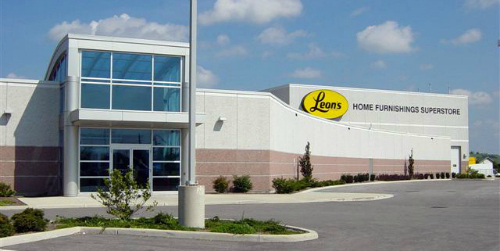 “The integration of Appliance Canada allowed Leon’s to enhance their competitive position in the appliance category and provided Leon’s with a presence in the growing wholesale sector,” he said. Leon’s celebrated a significant milestone in 2009 when they became one of the few Canadian retailers to celebrate its 100th anniversary. “To celebrate, president and chief executive officer Terry Leon embarked on a cross-Canada tour and visited every corporate and franchise store to personally congratulate each associate on being part of this historical achievement,” Reynolds said, adding the company also unveiled a bronze statue in Welland’s Chippawa Park immortalising company founder Ablan Leon. Then in 2013 Leon’s acquired their biggest competitor – and recipient of the Retailer of the Year award in 2004 – The Brick in a $700 million deal that resulted in the establishment of one of the world’s largest network of home furnishings retailers. He also praised the retailer for remaining committed to their humble beginnings and the values they established over 100 years ago by continuing to give back to the communities in which they operate. They are active supporters of the Boys and Girls Clubs of Canada, local hospitals and various other charities such as Wounded Warriors and Breakfast for Learning. “Dennis Novosel decided early in life that he loved the furniture business and he never looked back,” Reynolds said in naming him the 2017 LAA honouree. “When Dennis was 13, he worked in a used furniture store and moving business with his father. Already an entrepreneur at 16, he bought a pick-up truck and started his own furniture delivery business. Most recently, Novosel acquired Artage International, the Toronto-based occasional case goods specialist. After retiring from the company’s day-to-day operations last summer, he remains chairman of Stoney Creek Furniture. Novosel was named the CHFA’s Retailer of the Year in 2006. Stoney Creek Furniture was also the first Canadian furniture merchant to be named Retailer of the Year by what is now called the Home Furnishings Association (HFA), the U.S. retail group based in California. The accolade was awarded in 2010. 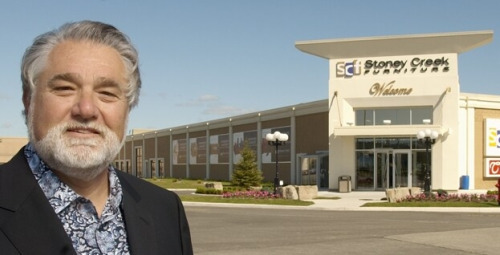 He was also the first Canadian to serve as its president, which he did in 2004 when it was still called the National Home Furnishings Association. He has also been deeply involved in several other industry organisations such as the High Point Market Authority and the Interior Design Society. He also served on the board of the American Furniture Hall of Fame Foundation. For the past two years, Novosel has sat on the advisory board to the Canadian Furniture Show and was recently elected to the CHFA board of directors. In 2006, he travelled to Mozambique to help construct a church and school. The following year he helped build latrine and safe sanitation centres for schools in Kenya. “We are very fortunate that our industry has so many remarkable people and organisations within it and their success deserves to be celebrated,” Reynolds said. “The awards not only spotlight individual talent but they also serve to enhance our industry and raise our collective profile. “Our annual gala evening has also become the Canadian home furnishings premier event allowing for an exceptional evening of fellowship and camaraderie. This is where we come together to celebrate the inspiring achievements of our industry leaders. The CHFA is justifiably proud of the awards gala, which grows in stature as new recipients are added to the long list of high profile industry leaders and the companies that came before them,” he concluded. This year’s gala will be held on May 25 at the Universal Event Space in Vaughan, Ontario. The evening begins with a reception at 5:30pm, followed by dinner at 7pm. The awards presentation will commence at 8pm. For tickets or more information, contact CHFA president Murray Vaughan by telephone at (905) 677-6561 or by e-mail at [email protected].